As a young composer and performer living in Toronto, Adam Scime has been praised as “a fantastic success" (CBC) and "Astounding, the musical result was remarkable" (icareifyoulisten.com). Adam's work is widely known for its coloristic exploration and innovative sonic experimentation. His work has received many awards including the 2015 CMC Toronto Emerging Composer Award, The Socan Young Composer Competition, The Karen Keiser Prize in Canadian Music, The Esprit Young Composer Competition, and first prize in the 2018 Land’s End Composer Competition. Adam was recently selected for the Ensemble contemporain de Montréal (ECM+) 2016 Generations Project during which his piece Liminal Pathways was toured across nine Canadian cities. Additionally, Adam’s music continues to be performed and commissioned by many renowned ensembles and soloists including Nouvelle Ensemble Moderne, The Esprit Orchestra, Array Music, The National Arts Centre Orchestra, The Thin Edge New Music Collective, The Hamilton Philharmonic, l'Orchestre de la Francophonie The Gryphon Trio, New Music Concerts, Soundstreams, The Bicycle Opera Project, Véronique Mathieu, Nadina Mackie Jackson, and Carla Huhtanen, among others. In November of 2012, Adam’s work was featured in the Emergents Concert Series, a collection of concerts showcasing emerging artists from across Canada and hosted by the Music Gallery. In March of 2011, New Music Concerts premiered Adam's new trio After the rioT, for a concert celebrating the music of the prominent late English composer Jonathan Harvey. New Music Concerts subsequently commissioned from Adam a piece titled In The Earth And Air, for large ensemble and soprano soloist Carla Huhtanen, a work that was premiered to much critical success. In 2014, Adam’s piece Broken Images was toured across China to various new music festivals by a chamber group of renowned Canadian soloists. As a regular collaborator with the Esprit Orchestra, Adam has produced many large-scale orchestral works such as his pieces Rise (2104) and Surfacing (2017). Recently, violinist Véronique Mathieu and pianist Stephanie Chua recorded Adam's piece Gradual Erasures and released it on their True North Centrediscs recording. Adam has been selected for numerous composer workshops including Domaine Forget, The Soundstreams Emerging Composer Workshop, The Vocalypse Opera from Scratch Workshop, The National Arts Centre composer training program, The Canadian Contemporary Music Workshop and the Chrysalis Workshop with the Continuum Contemporary Ensemble, among others. 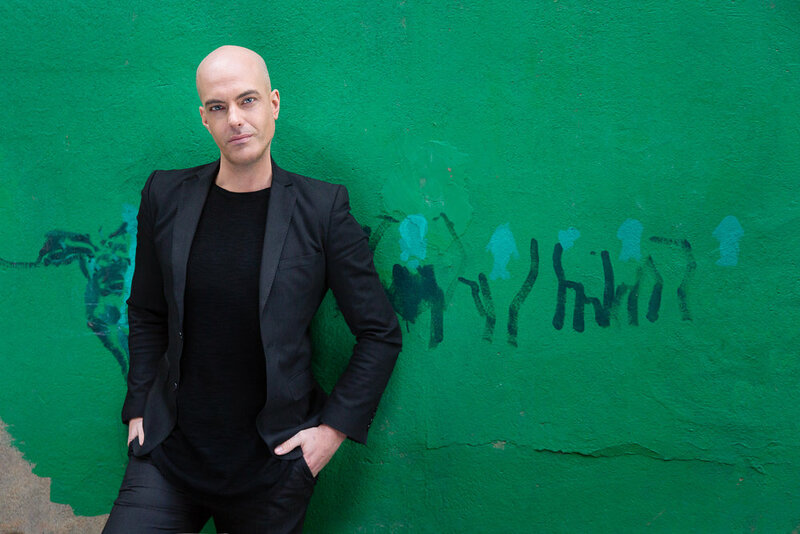 In addition to his activities as a composer, Adam also works frequently as a freelance double bassist, conductor, and educator with a specialization in contemporary music. Interesting performances include Nuit Blance 2009 when Adam performed under music director Brian Current in James Tenney's installation, In a large open space. In 2011, Adam performed in Juliet Palmer's massive theatre creation Like an Old Tale. As a performer, he has worked directly with Pauline Oliveros, Salvatore Sciarrino, Philippe Leroux, Kaija Saariaho, Vinko Globokar, Marco Stroppa, and Robin De Raaff, among others. 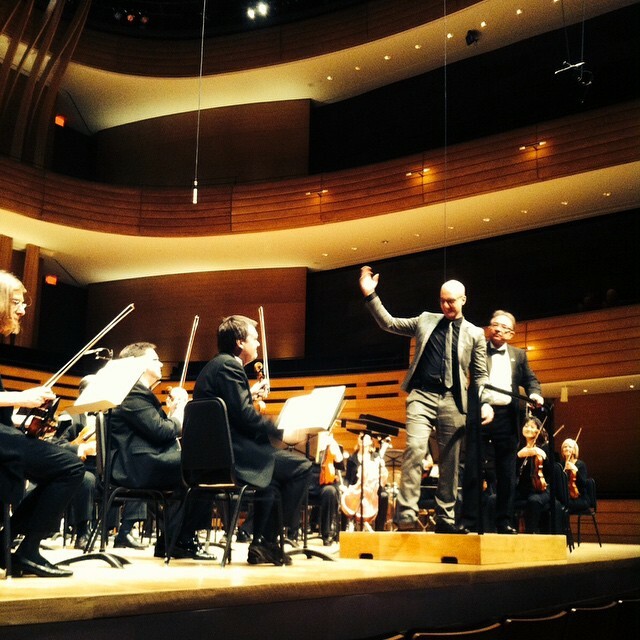 Recently, Adam traveled with the Ontario Festival Orchestra to China for a tour of six cities. In 2014, Adam performed in the North American premiere of Louis Andriessen’s Anaïs Nin with soprano Wallis Giunta as part of the inaugural 21C New Music Festival hosted by the Royal Conservatory. He performed in the 2015 Luminato Festival presentation of R. Murray Schafer's Apocalypsis - a production that was recorded and commercially released by the CBC. Adam continues to perform with many esteemed organizations and ensembles across Canada. He is the Music Director of FAWN Chamber Creative - an innovative and daring Toronto based opera company - where he has workshopped and conducted the premieres of many new Canadian operatic works. In 2015 FAWN also produced Adam's first full length opera l'homme et le ciel, a production that was co-produced with the Music Gallery and met with critical praise. As one who is passionate about collaboration and education, Adam continues to work with many organizations as a mentor and educator in a variety of contexts involving young and promising artists. Adam recently completed his doctorate in composition with Gary Kulesha at the University of Toronto (2018). Previous to his current position at U of T, Adam studied music theory and composition at The University of Western Ontario where his teachers included Peter Paul Koprowski and Paul Frehner. Adam has also received private lessons with Roberto Sierra, Anders Hillborg, Vinko Globokar, Colin Mathews, Chen Yi, and Osvaldo Golijov.